Gone are the days when employees thought twenty-five days of holiday was a great perk. Today employees are hoping to achieve much more of a work-life balance and employers are listening, eager to retain talent. As popularised in recent years by films, such as The Internship, Google were trailblazers in offering their employees an unprecedented number of perks, such as free food, unlimited holiday and cool offices that resemble a playground for adults. In recent years, the rise of Perkbox is a testament to the increasing attractiveness of companies who are offering employee perks, as they are gaining the edge in recruiting the most talented candidates. These perks offered by Perkbox range from free coffees to discounted skydives, and employers even have the opportunities to reward outstanding employees with a gift. Chieu Cao, co-founder of Perkbox, attributes their success to “the focus on engaging employees directly and not just focusing solely on the needs of the businesses”. Perkbox have certainly hit the nail on the head with this. According to career site Glassdoor, more than half (57%) of all workers say perks and benefits are among the top things they consider when deciding whether to accept a job. In addition, almost 80% of employees say they would prefer new benefits over a pay raise. Employers have also seen their commitment to employee wellbeing pay-off with more engaged and motivated employees and increased retention rates. So, who are the best to work for? 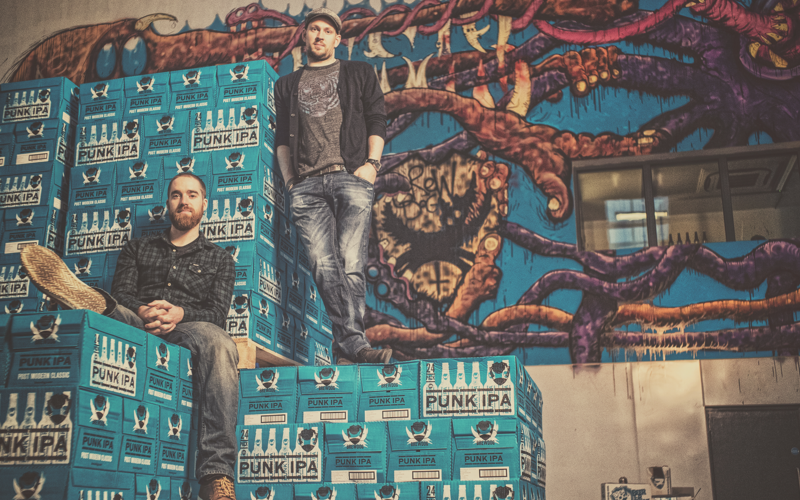 BrewDog, the Scottish brewery company, was founded in 2007 by two 24-year-olds with the vision of making others as passionate about craft beer as they are. Brewdog made the headlines when it offers its employees a week off work to look after their new dog! Their ‘paw-ternity’ leave was launched last year at the request of the employees at this dog-friendly firm, in order to help their new four-legged friends get used to their surroundings. Their dog-friendly offices will also ensure their employees’ new companions will never be far away! BrewDog also makes sure their staff are able to spend time with their new human babies too, with enhanced maternity and paternity leave. Currently their package for new parents consists of 12 weeks full pay, followed by 12 weeks half pay for enhanced shared parental and maternity leave, or 2 weeks full pay for enhanced paternity pay. BrewDog employees also get a 25-50% discount on all beers, food and merchandise online or in any BrewDog bar! Perkbox, the innovative employee engagement platform, who aim ‘to build a better society, one relationship at a time’, certainly practices what they preach. Not only do their employees benefit from all the perks on their platform, Perkbox also boasts dog-friendly offices with break areas that have arcade machines, table tennis tables and a Playstation 4 to ensure their employees work hard and play harder! The co-founder also recalls the latest day-out for their employees, when their Marketing team was treated to a trip down the Thames by speedboat. Perkbox benefits – like all users employees can spread the cost of big purchases over monthly instalments, such as purchases of vehicles or technology. They can also save on health insurance, gym memberships and phone bills. Perbox also has ‘Beer-Trolley Fridays’, when free drinks are wheeled out at 5pm – often pushed by the firm’s latest recruit or someone who might have blundered in some way that week! Free food and drink are also available to all throughout the day. 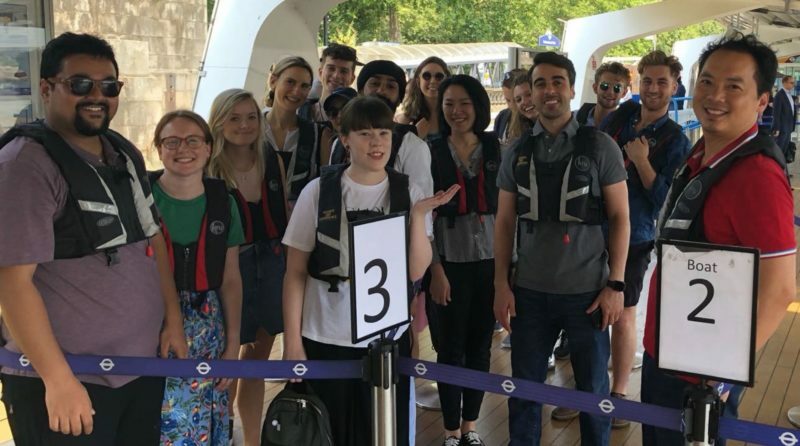 Perkbox’s Marketing Team were treated to a speedboat ride down the Thames! Powerscourt is a public relations and communications firm, advising their clients on critical business issues. With a strong focus on employee well-being, Powerscourt really do cover their employees when it comes to their finances. Employees have their medical and dental insurance paid for, as well as their death in service benefit. Powerscourt also matches their employees’ contribution up to to 5%. Those with young children will also receive childcare vouchers. Sports fans would will enjoy taking advantage of the season ticket loan system and the running club at Powerscourt, with their athletic team recently taking part in Bloomberg Square mile relay! Gym membership is also offered at a discounted cost. Employees can also gain access to yoga classes and mani-pedis at a small cost! Huckletree run co-working spaces in London and Dublin for start-ups, entrepreneurs and tech businesses. 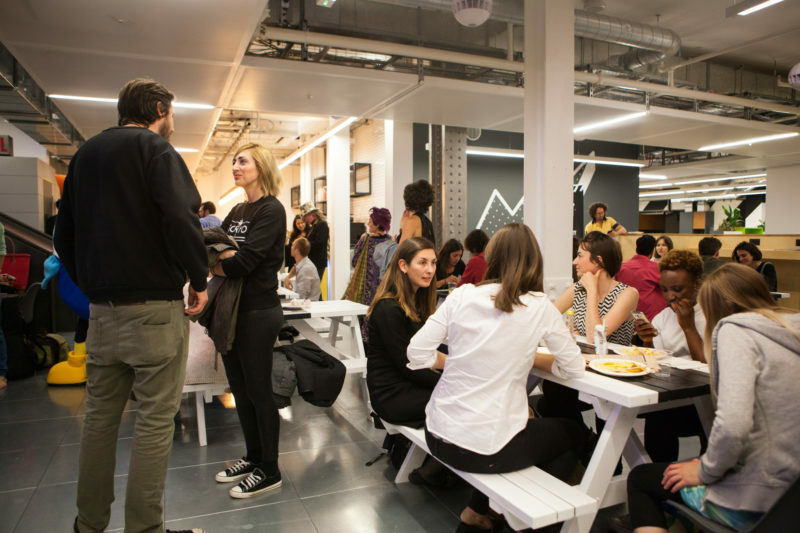 They offer a range of special weekly events, such as yoga, meditation, complimentary breakfasts buffets, weekly drinks, and a calendar full of insightful talks to help their members grow and shape their businesses. Huckletree Shoreditch has one of the only offices in London where you can actually cycle into the office with a designated cycle ramp. Huckletree West have their own VR studio and meditation yurt! They create a community feel in their offices and an amazing space to work, with lots of weekly perks for their members. The luxury travel firm, Abercrombie and Kent, offers their hardworking employees discounted rates at selected hotels and on the Eurostar, as well as company trips away. We’ve heard that their sales team, in particular, get to experience some particularly special ‘once-in-a-lifetime’ trips. Additional holiday days are also offered with each year an employee spends at the company. The company also keep their team healthy with fresh fruit brought in daily. Monzo, the online challenger bank, is one the most rapidly growing start-ups in the UK and is changing the expectations of what customers expect from a bank. Its lucky employees are treated to a twice-a-week free lunch from a range of street vendors. There is a weekly Q-and-A session with the CEO and other members of the senior management team, which helps the bank maintain a considerable degree of transparency, for both customers and employees, especially company’s pricing. It made headlines when it offered their customers the chance to vote on big decisions, such as whether to charge for withdrawals at ATMs when abroad. The company offers flexible working hours and gives employees the freedom to work from home. It also encourages its employees to take a month of unpaid leave, on top of their holidays. Employees’ remuneration packages also come with a number of stock options – which could be very lucrative as this company grows and grows! So, it’s clear that start-ups and SMEs can offer some great employee benefits! But if you’re not yet convinced, why don’t you read our helpful guide to find out if jobs in start-ups or SMEs would suit you!